You are here: Home / travel / 5 Things you Might not Know about the Florida Universal Parks! 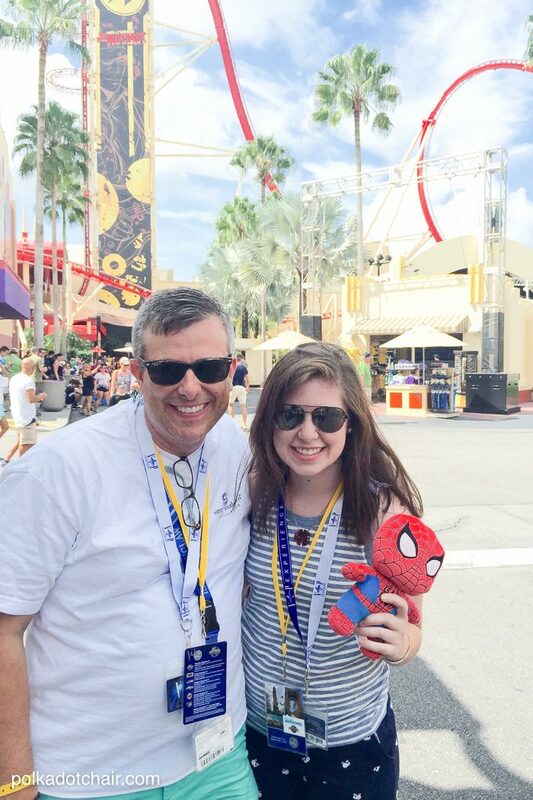 My family recently visited the Universal Parks in Orlando, Florida with the FamilyForward conference. 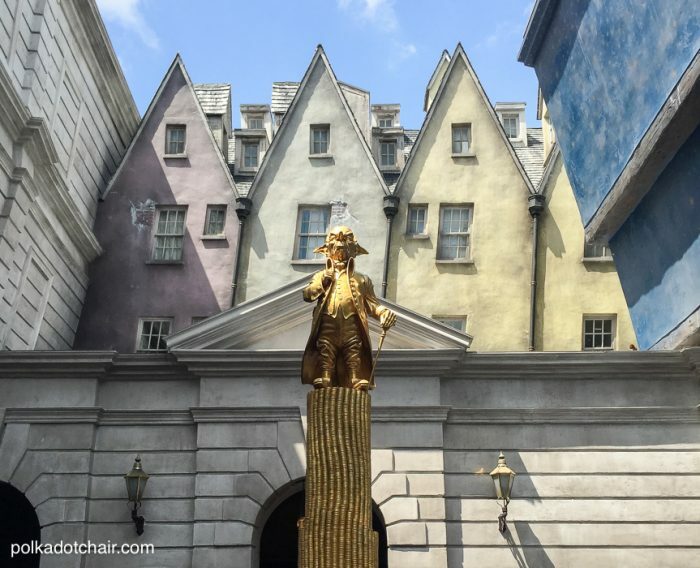 While there we took a guided tour of the park and I’m excited to share with you some of the great tips for visiting Universal Studios Orlando and trivia that our tour guide shared with us. 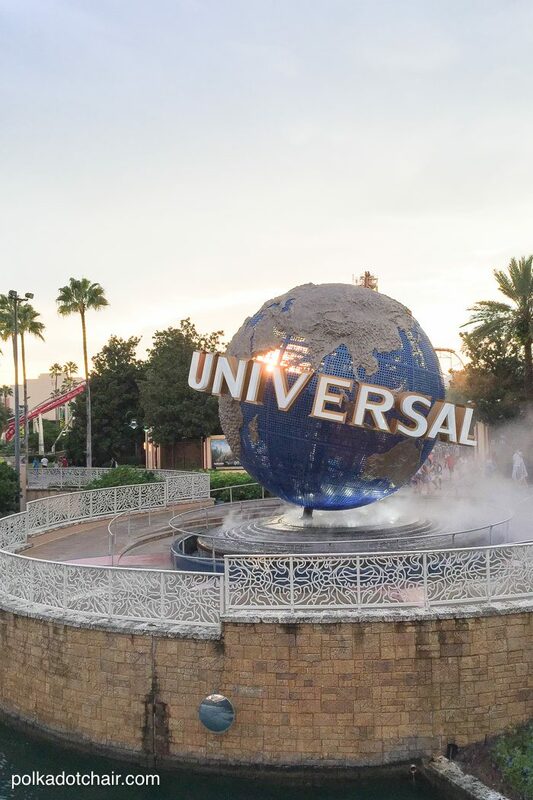 I hope that you’ll read over these tips before your vacation and it will make your visit to Universal Orlando just a little bit easier! 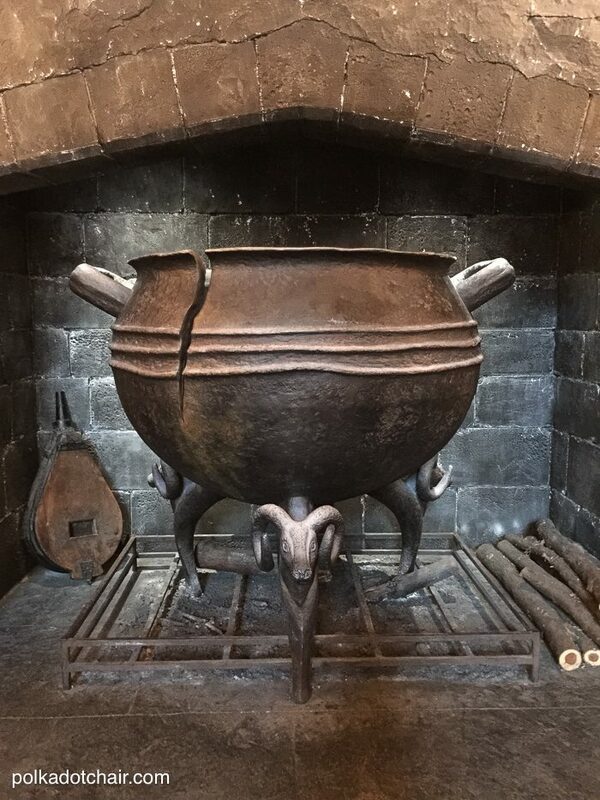 (Hint: There are lots of tips and trivia for visiting the Hogsmeade and Diagon Alley Harry Potter parks! ) This post has been updated to include 2018 information. 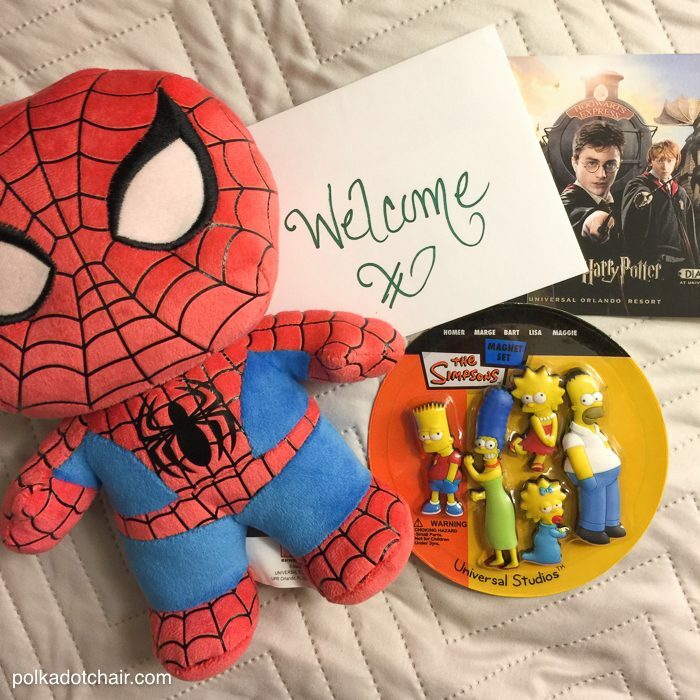 This is the first of a series of posts about my experience, and all of the fabulous inspiration I gathered while at the Florida Universal Resort. I mean Halloween is coming up, after all, YOU know I’m dying to share some pretty fun Harry Potter inspired crafts and tutorials! 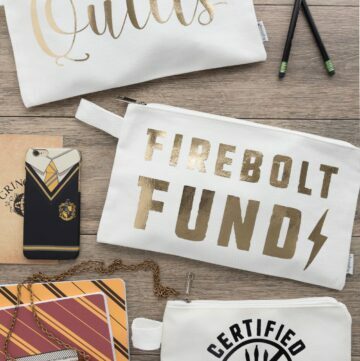 At the bottom of this post I’ve included some of my best Harry Potter inspired DIY, craft and party projects and ideas. Universal Studios Florida opened in July 1990. Since then the park has experienced massive growth. Part of that growth has included changing out older rides for new and more innovative ones. The folks at Universal are always working hard to be on the cusp of what is new and exciting in theme park design. There are several new rides and attractions do to arrive in the next few years including, a ride based on The Fast and the Furious ride and a King Kong Attraction. 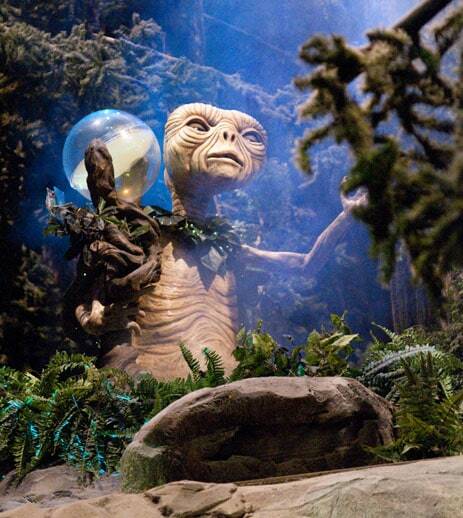 While we at Universal Studios Orlando we took flight right along with ET on the ET Adventure Ride. It is now the last remaining attraction from opening day in 1990. As an adult who remembers watching ET for the first time in a theater, the ride invoked some fun feelings of nostalgia. It chronicles ET’s adventures on earth AND after he returns to his home planet. Did you know it is considered by Stephen Spielberg to be the only “sequel” to the original movie? This ride looks absolutely terrifying to me. It begins with a 90-degree vertical climb and then plunges riders down at an insanely steep angle. Needless to say, I did not ride this rollercoaster, but my 14-year-old daughter did! While on the ride you are able to pick your own soundtrack for the ride essentially allowing yourself to star in your very own music video. THREE: When you’re inside of Diagonally you can’t see any other parts of Universal Studios Florida. 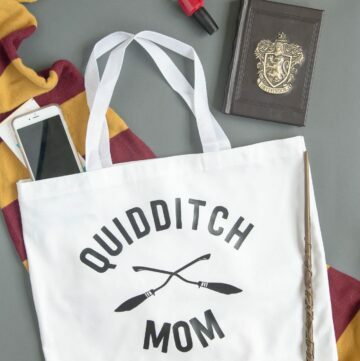 Okay, so you know that this list would not be complete without several mentions of the Wizarding World of Harry Potter. 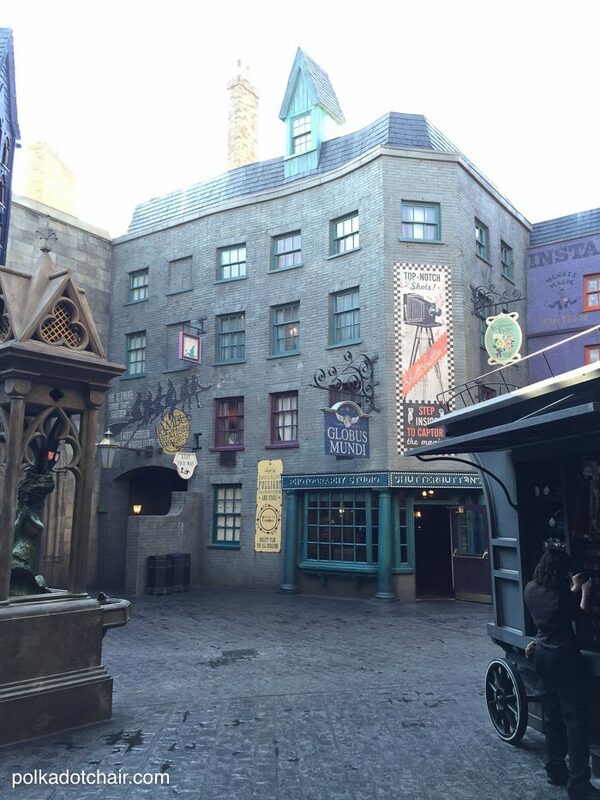 A few years ago I visited Universal Studios Islands of Adventure Hogsmeade but had never been to the new Diagon Alley. 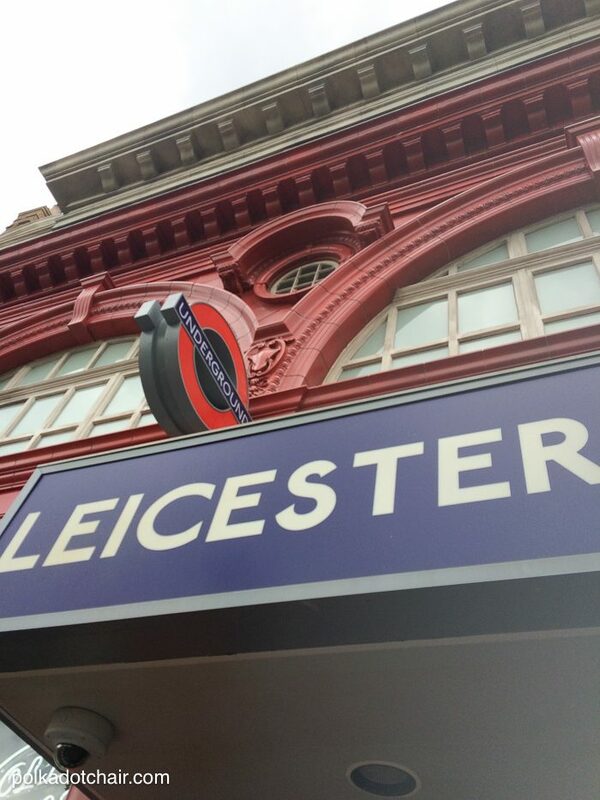 I admit that when I passed through Leicester Station in “London” and entered Diagon Alley it took my breath away. Immediately upon entering you are greeted with a fantastic scene straight out of the movies. Directly ahead of you is Gringotts Bank, an angry dragon looming above, and to your sides are shops bustling with children. It was moderately crowded when we visited (it was the Saturday and Sunday of Labor Day weekend) and I have to say it’s one of the few places that I have been where the crowds actually added to the ambiance of the place. 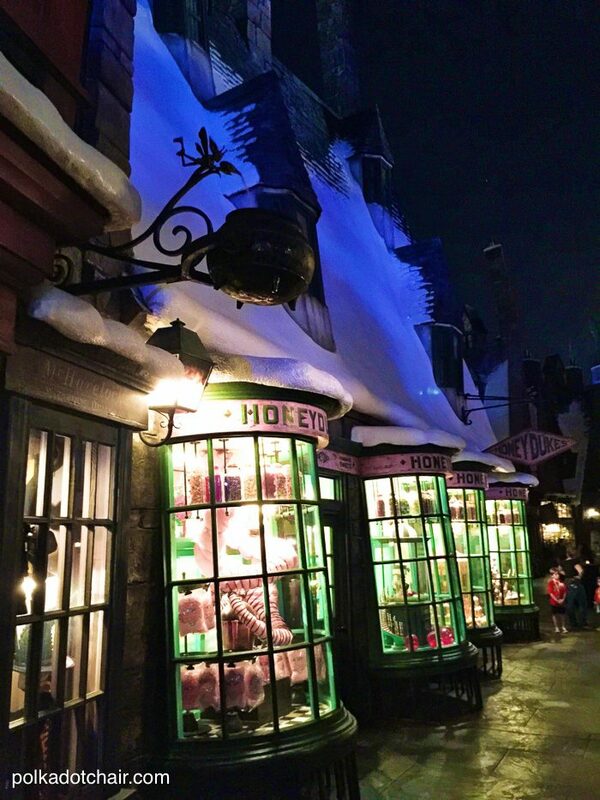 The gleeful, giggling, children darting in and out of stores shopping for wands at Olivanders and practicing their spells in the alleyways made the place seem even more real. This place absolutely blew me away. The attention to detail was unlike anything I had ever seen in a theme park. 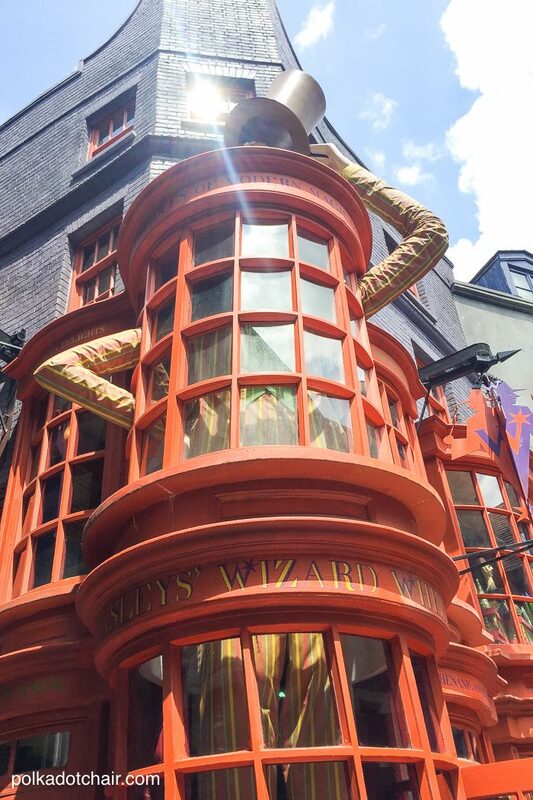 I noticed while we were inside of Diagon Alley that you can not see any other part of the outside world from inside. Did you know that every building and facade is at least 3 stories tall with many much taller than that? It’s a total immersion experience and I absolutely loved it. 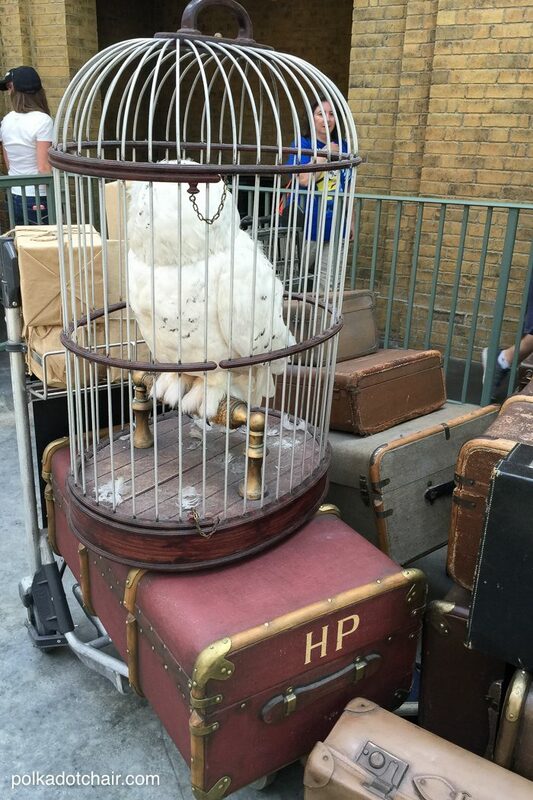 FOUR: You can ride the Hogwarts Express between Universal Studios Park and Islands of Adventure. 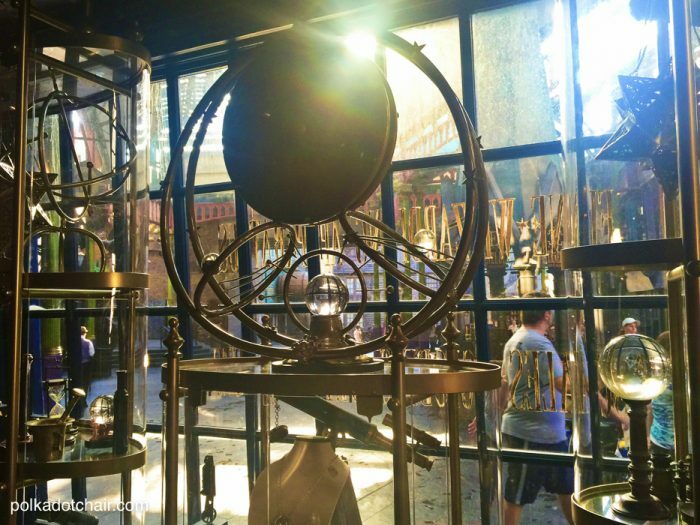 Did you know that the Wizarding World of Harry Potter is cleverly divided between two Universal Parks? Immediately after Hogsmeade opened planning began for a second Harry Potter world inside of the parks. Since Hogsmeade captured the beauty of the small, rural Wizard town of Hogsmeade, the designers thought it would be a nice to add a more “urban” element to the Harry Potter experience at the parks. 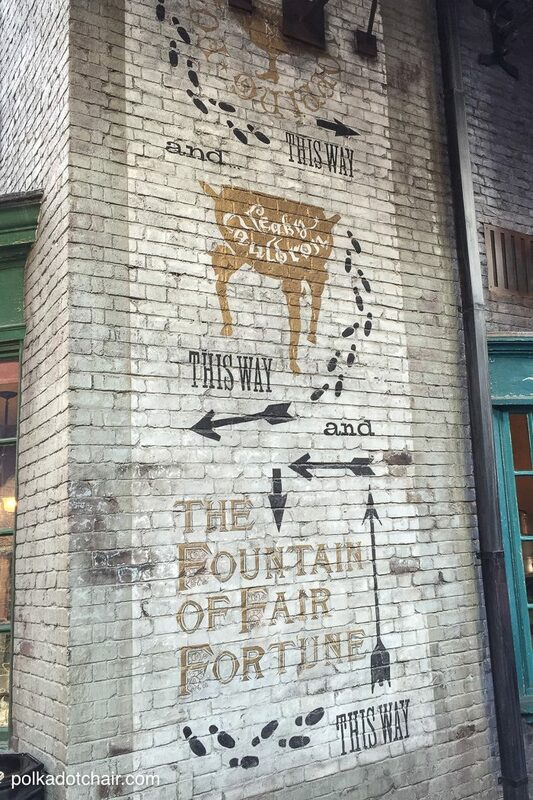 The design from Diagon Alley was born. 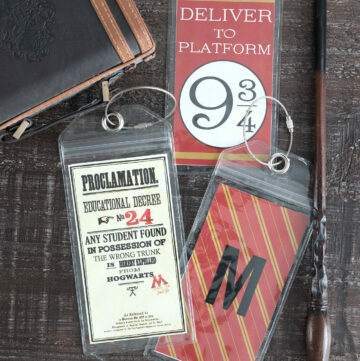 Inspired by the books and the movies the way that you move between the two parks is by riding the Hogwarts Express. 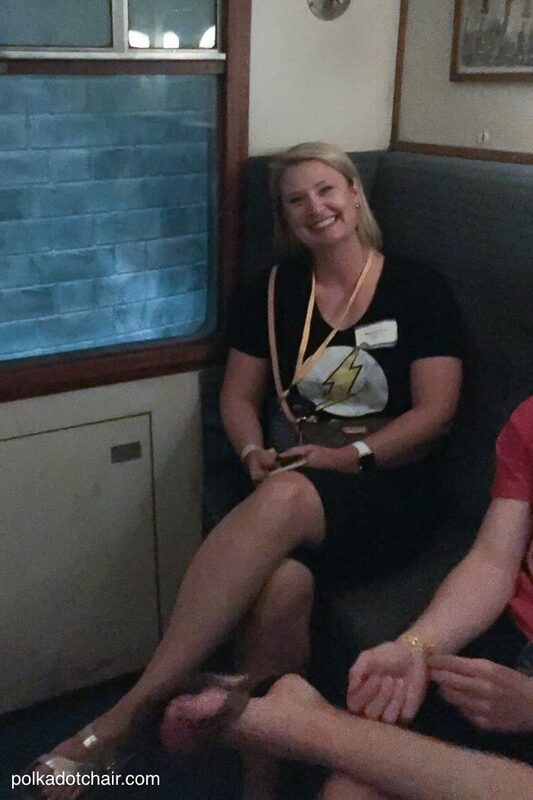 It’s an ACTUAL train and you can ride the Hogwarts Express in BOTH directions. The experience is different in each direction. 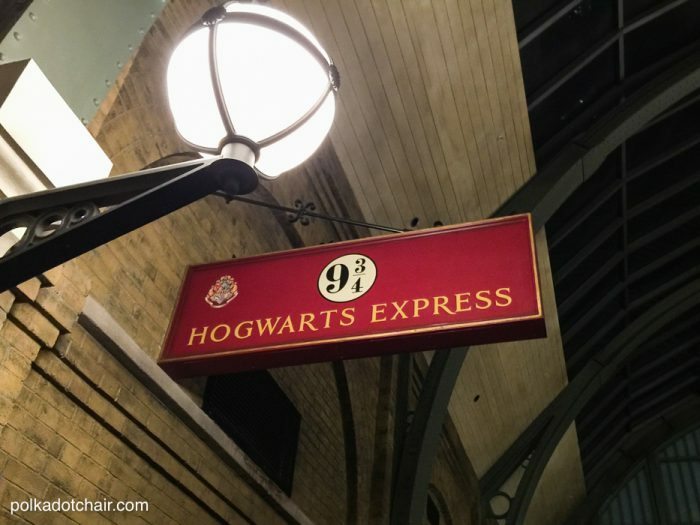 We noticed that the line was usually longer trying to ride the Hogwarts express FROM Hogsmeade than from Diagon Alley (or Kings Cross Station to be more precise). 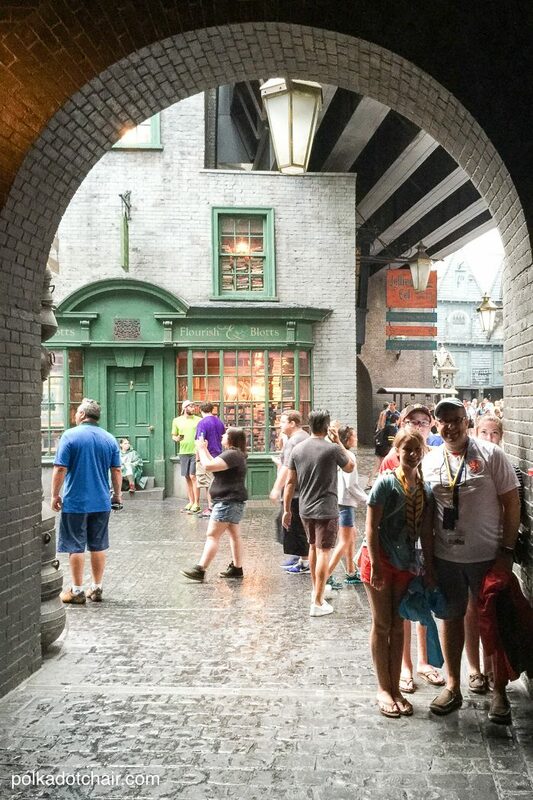 If you want to visit both (you’ll need a dual park ticket), I’d recommend getting to Diagon Alley as soon as the park opens, experiencing it, then taking the train to Hogsmeade. 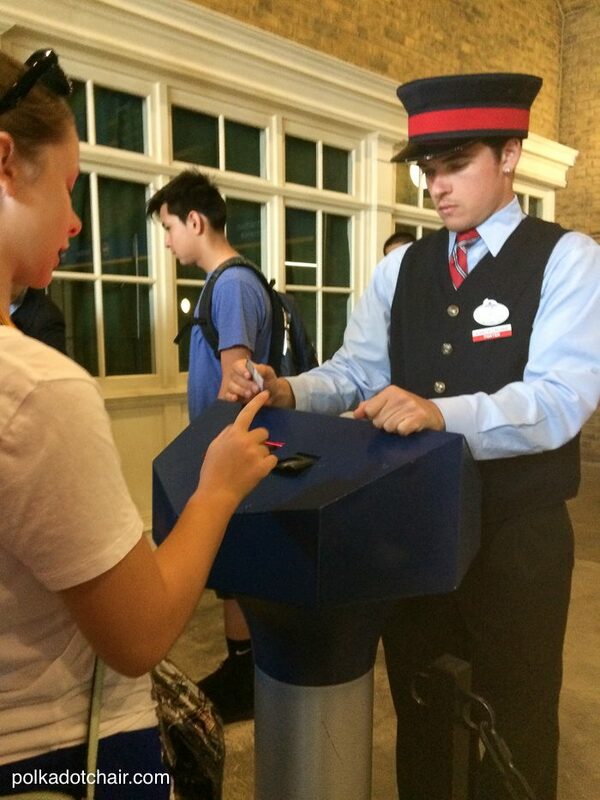 If you do this be sure to start FIRST with Escape from Gringotts as the lines are longer in the middle of the day. 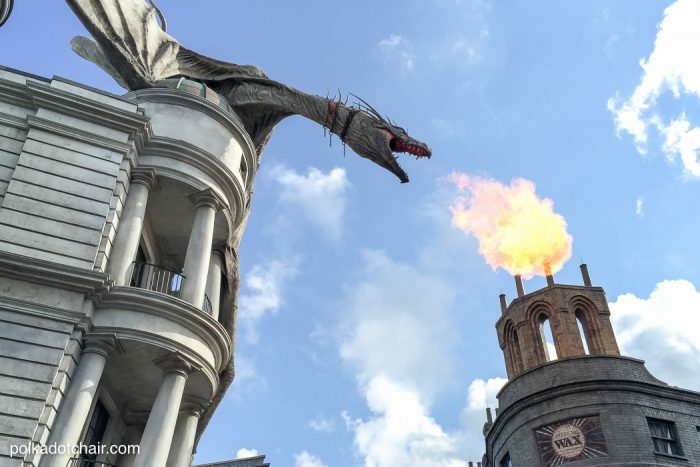 FIVE: There is sooooo much more to do that just ride the rides in Diagon Alley and Hogsmeade. The Escape from Gringotts ride is an amazing feat of creativity and engineering. 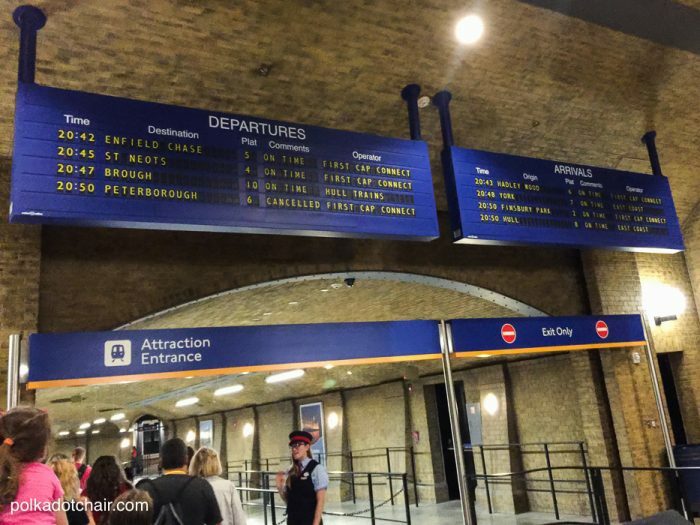 So is the Harry Potter and the Forbidden Journey ride in Hogsmeade. I left both completely in awe. I think many other people also felt the same way as the line for the rides remained pretty long all day. It’s an experience that is worth the wait. 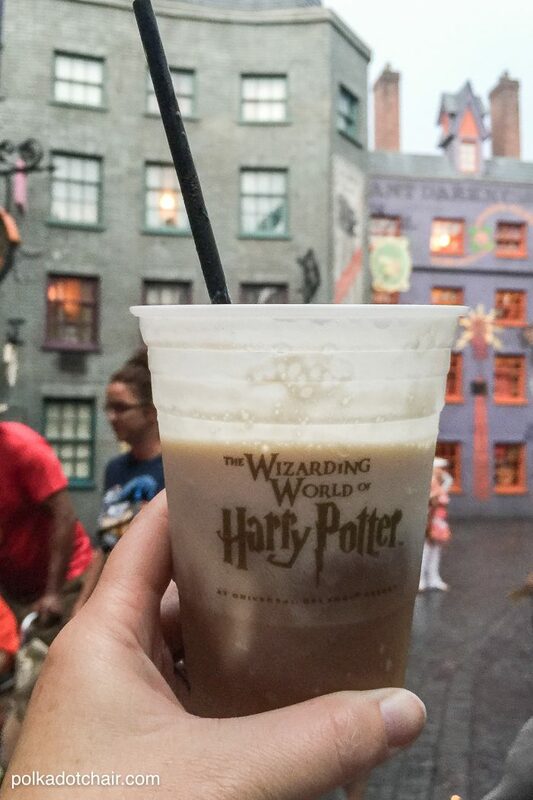 But did you know that there are dozens of other fantastic things to do while you’re in the Wizarding World of Harry Potter besides just the rides? 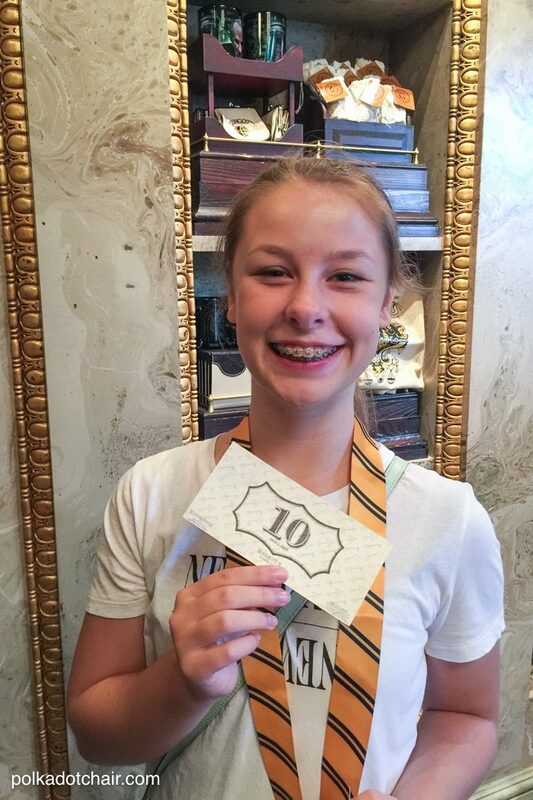 1-You delight in 4 different kids of Butterbeer inside of the parks. 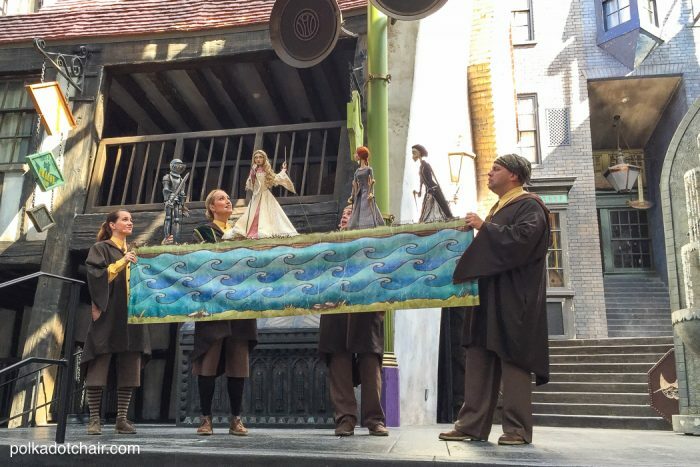 2-There are daily plays, reenactments, actors, plays, choir concerts that take place inside of Diagon Alley & Hogsmeade. During our visit, we sat down on the ground to eat our ice cream and to our astonishment a theatrical reenactment of one of the stories from Tales of Beadle the Bard began right in front of us. 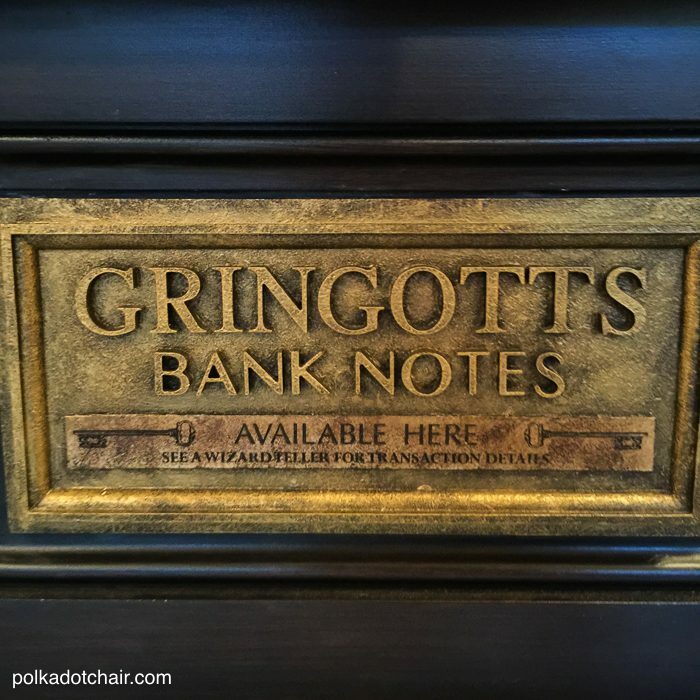 3-You can open an account at the Gringots Bank and change your muggle money for Gringotts Banknotes. 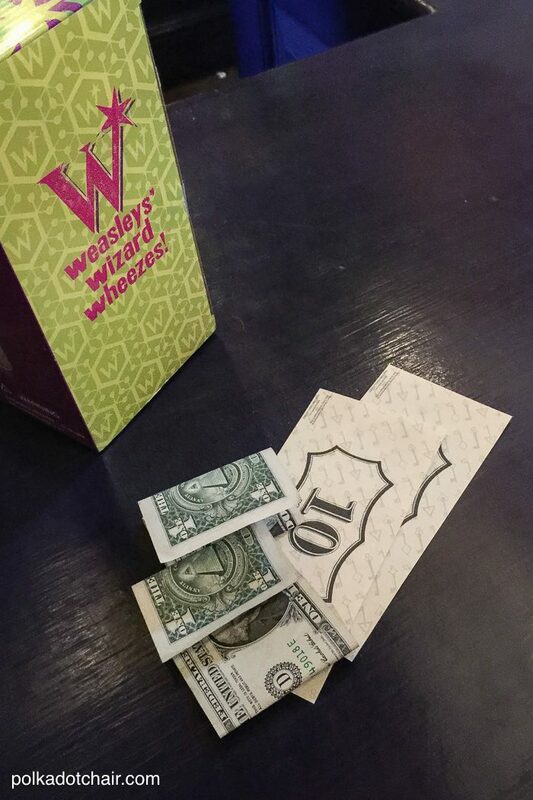 AND you can spend them inside of the Wizarding World of Harry Potter! The exchange rate is pretty awesome too… 1-1 with no change fees. Much better than actually going to England *wink*. 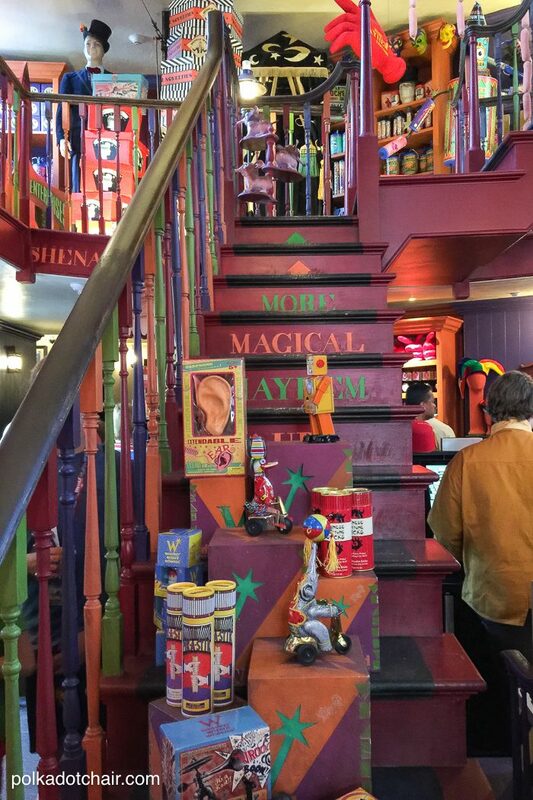 4-To prepare for your first day at Hogwarts you can shop in Diagon Alley. 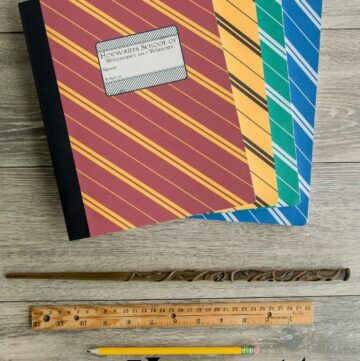 You can get your house robes, have a wand pick YOU at Olivanders, and grab a few props at Weasleys Wizard Wheezes to play pranks on your professors at school. 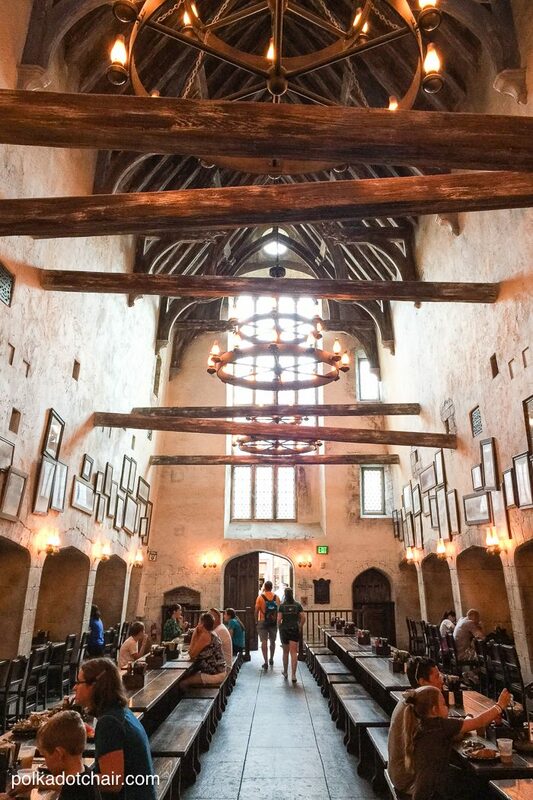 5-You can eat breakfast, lunch or dinner inside of the Leaky Cauldron or the Hogshead Pub. I’ve only scratched the surface of what is offered at the Universal Resorts, I didn’t even get to the superhero dinosaur stuff yet!! Let alone mention those adorable Minions! Like I mentioned before, keep an eye out this Fall for some really cool (at least I think so) DIY projects, tutorials and recipes inspired by my time at the parks. 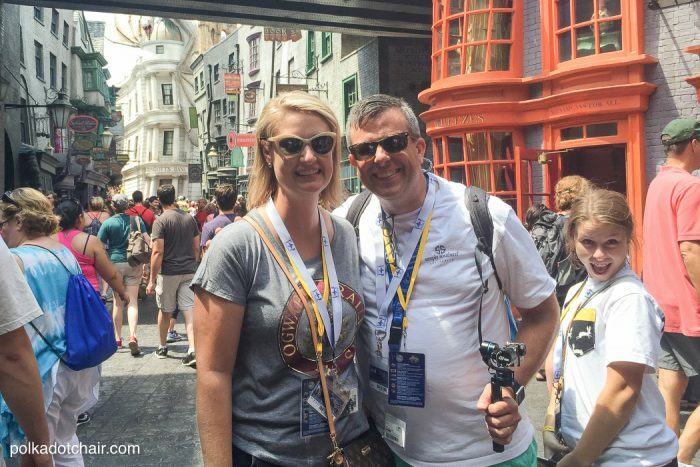 The Wizarding World of Harry Potter alone could keep busy with blog projects for a year! 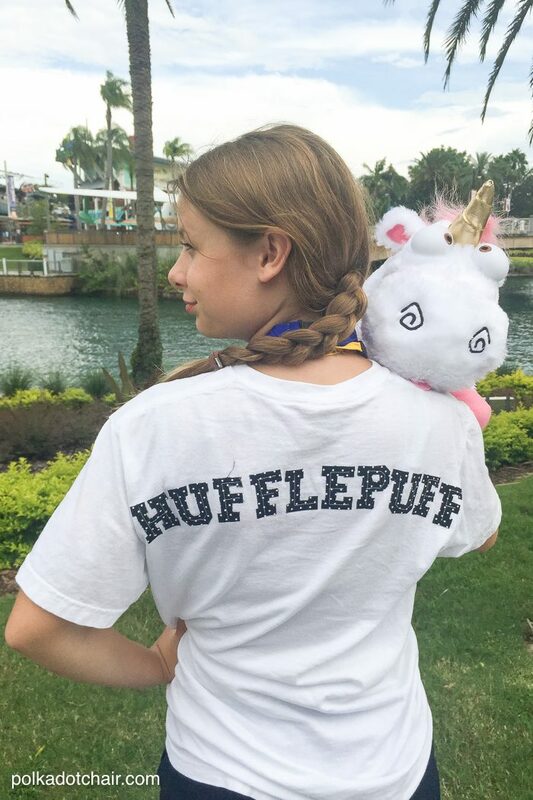 Disclosure: I visited Universal Resort as a part of the Family Forward Conference. Universal Resort is a sponsor of the Family Forward Conference. I purchased the ticket to the conference myself and paid all my own travel expenses. Thanks for the information, I is nice seeing you having a blast. Thanks Linda, hopefully the information will be useful to someone visiting the park. The first time we went I didn’t know much and wish I had read up a bit more before we visited. Cool post! Thanks for sharing this. I can’t wait to visit there sometime.